Mumbai, Nov 10: Actor Irrfan Khan is excited for his forthcoming film "Qarib Qarib Singlle", and hopes that the audience will find it "endearing and refreshing". Irrfan says he had a great time shooting the film with southern actress Parvathy, who is making her Bollywood debut with the film. "I'd like to quote what my character sings for Parvathy in the film, 'Bade acche lagte hain ye dharti, yeh nadiya aur tum', meaning 'I really like the earth, the rivers and you'. Working with her was a great experience -- just like the journey our characters go through in our film," Irrfan said in a statement. "It's a desi tale with loads of humour. It's a meeting of north and south India and I think that the audience will find it very endearing and refreshing," added the actor, who has collaborated with FilterCopy, the shareable content brand of Pocket Aces, for a new video titled "Types Of Men You Meet On A Date". "Qarib Qarib Singlle" is a contemporary love story of two people who embark upon an unusual journey which becomes a mad adventure. The film is releasing on Friday. Sharing his thoughts about a relationship where the notion of commitment has not set in, Irrfan said: "I find it very exciting, it's a stage where there are so many possibilities. Things can go horribly wrong but there's also chance it can be something beautiful. It's quite the adrenaline rush." 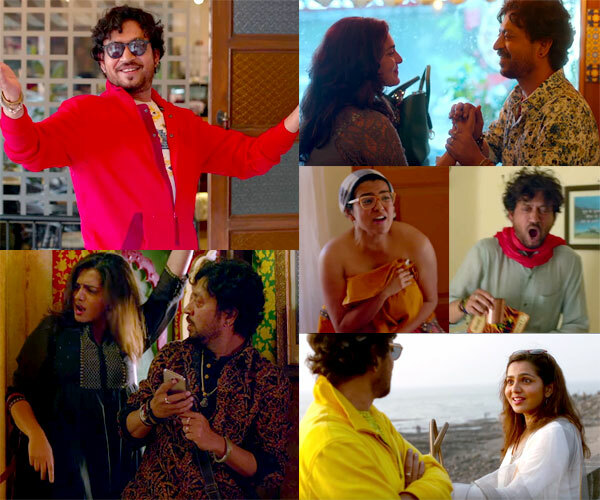 The video by FilterCopy also features Parvathy, and takes a humorous and satirical stance on the different types of men women meet on a date, from the fitness freak to the social media stalker.